Specialty Grocer Hosts Cupcake Decorating Event to Support No Kid Hungry GREENSBORO, N.C. - The Fresh Market stores nationwide will host a cupcake decorating event this Saturday, May 18 from 10:00am-3:00pm. Customers will be able to purchase and decorate a delicious cupcake from The Fresh Market’s in-store bakeries for a donation of $3. The Fresh Market will donate 100 percent of the money raised to No Kid Hungry to support its efforts to end childhood hunger in America by connecting kids in need with nutritious food and teaching their families how to cook healthy, affordable meals. WHO: The Fresh Market, the Greensboro, North Carolina-based neighborhood specialty grocer and Share Our Strength’s No Kid Hungry campaign, which is working to end childhood hunger in America by ensuring all children get the healthy food they need, every day. 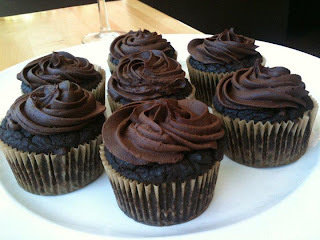 Customers are invited to purchase and decorate a delicious cupcake to benefit No Kid Hungry. WHEN: Saturday, May 18th, 10 a.m-3 p.m. at The Fresh Market, All 131 stores nationwide. For more information on this event, please visit The Fresh Market on Facebook and Twitter. Founded in 1982, The Fresh Market, Inc. (NASDAQ: TFM) is a specialty grocery retailer focused on providing high-quality products in a unique and inviting atmosphere with a high level of customer service. The company currently operates 131 stores in 25 states, primarily located in the Southeast, Midwest, Mid-Atlantic, Northeast, and West Coast, with plans for continued expansion throughout the country. The Fresh Market is an equal opportunity employer. 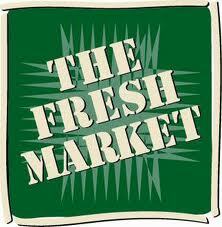 For more information, please visit www.thefreshmarket.com.